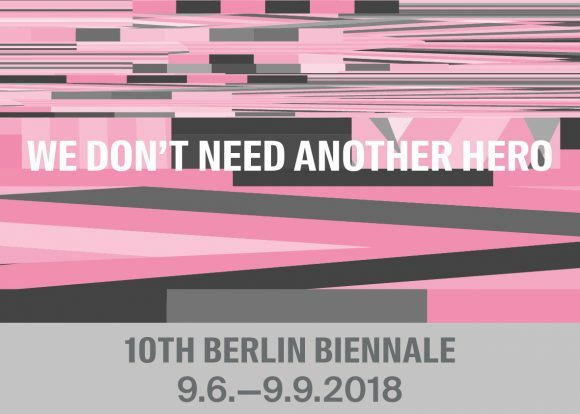 Titled We don’t need another hero, the 10th Berlin Biennale for Contemporary Art is a conversation with artists and contributors who think and act beyond art as they confront the incessant anxieties perpetuated by a willful disregard for complex subjectivities. We don’t need another hero is curated by Gabi Ngcobo with a curatorial team composed of Nomaduma Rosa Masilela, Serubiri Moses, Thiago de Paula Souza, and Yvette Mutumba. It takes place from June 9 to September 9, 2018 at four permanent exhibition venues: Akademie der Künste at Hanseatenweg, KW Institute for Contemporary Art, Volksbühne Pavilion, and ZK/U – Center for Art and Urbanistics. In co-production with HAU Hebbel am Ufer, HAU2 serves as a site for two performances over the course of the 10th Berlin Biennale.